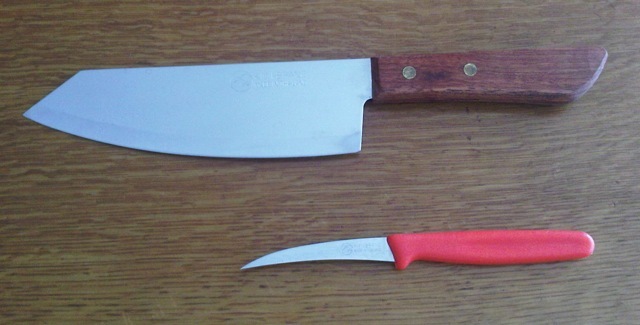 are my 2 favourite knives that I bought in Mauritius at Store 2000 – the cheapest knives I have ever bought and they work beautifully – they have the thinnest of blades and I am quite sorry that I never bought more. is this lovely Carrol Boyce cork screw which I was lucky to get from my BIL and SIL on a recent visit to Plett who were doing a clear out of their bar. is my ever loved cake tester – the best I have ever owned. 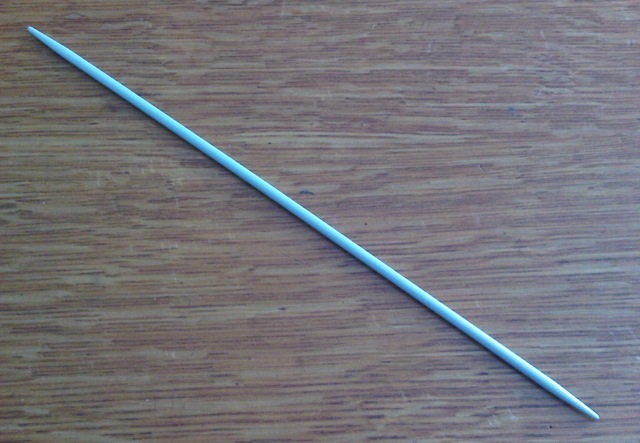 It is a double pointed knitting needle and if memory serves, my Nana also used one to test her cakes. 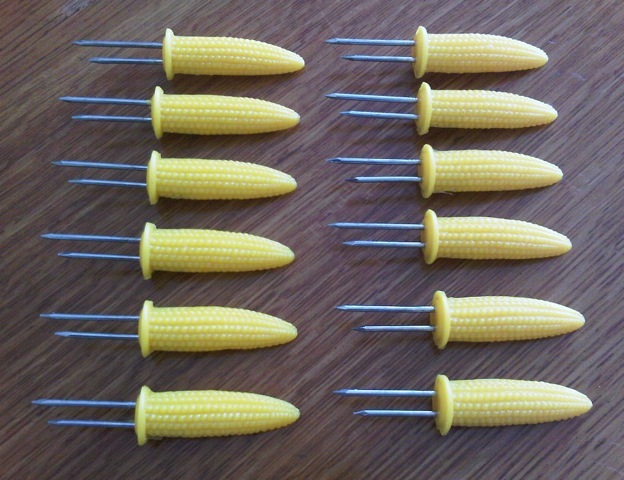 are these fun corn holders which make eating corn on the cobb must easier and less messy. is my Chef’s torch which Mom borrowed over Christmas and forgot about it in her cupboard – best I get cracking and make a Crème Brûlée. 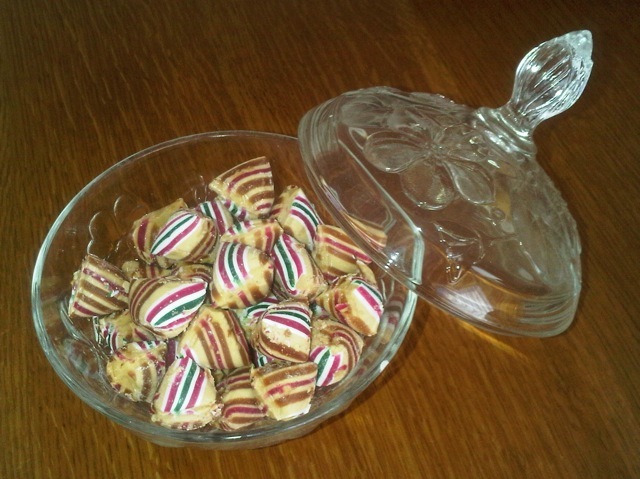 are these yummy humbug sweeties from Pete’s nephew’s wedding. This entry was posted in Daily Blog and tagged cake tester, chefs torch, cork screw, corn holders, Creme Brulee, Food, In my kitchen, Knives, The Complete Cook Book by thecompletebook. Bookmark the permalink. Love your bargain knives, Mandy. Don’t you hate it when you realise too late how much of a really great bargain something was? Mandy, how fab to finally see what’s going on in your kitchen!! Thanks for the linky! 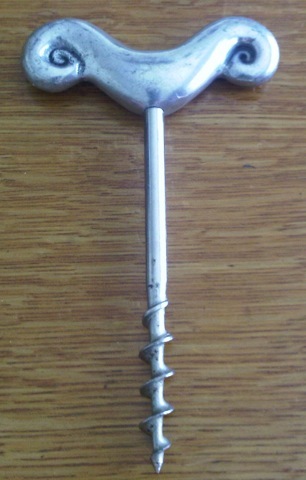 That corkscrew is quite beautiful – does it work well? I can’t get a cork out without a lever to pull against..
Celia, I am thrilled to FINALLY be joining in the fun! The shape of the handle on the cork screw works really well for a good grip which does make it easier than you would think. I use my knives every day and have yet to sharpen either of them 😮 – I really am sorry I don’t have a couple spare though – just in case. I loved looking at the things in your kitchen 🙂 how fun. Aren’t the cob holders the best? Once you buy your first set, you wonder why you hadn’t bought them ages before. And as far as knives go, cheap or expensive, a good knife is as important to a kitchen as a good frying pan. Enjoy your weekend. Some really cool stuff…I like that cake tester. Beautiful corkscrew. I use my torch to char peppers since I don’t have a gas oven and the grill isn’t always going. I think we’ve used it for creme brulee once. Oh! I love the torch! I need one of those. That would be perfect for our baked spicy salmon sushi roll. I’m definitely picking one up before New Year’s this year. And that corkscrew is beautiful! So far…I love your kitchen! I swear we used to have (or still have) those corn on the cob holders! too cute. Also, this reminds me that I need to make use of our torch. I’ve been itching to make creme brulee, so that would put the torch to good use! What a fun post! Always interesting to see what other cooks are using 🙂 I will be looking around my kitchen this weekend with a different set of eyes. Love the corn holders – they remind me of my childhood. I loved your post (first time here!). I loved how you love your kitchen “helpers” and they are so beautiful!! The corn holders and the torch are really helpful, aren’t they? I love my kitchen knives too and I am proud of them!! Thanks for sharing this beautiful post!! I do have some favourite knives as well one is a cleaver and another once is a french knife. Though we have a lot I only use those two. This post has brought me back. I remember those corn on the cobb holders.. my mom had that exact set. I haven’t seen them in years, Wow. Thanks for the trip down memory lane. Ahhh I need to buy a blowtorch. I’ve tried getting away with just using the broiler but it doesn’t brown evenly. Thanks for sharing! I love this post – it’s like a checking celebrity’s home. Checking what you have that we don’t normally get to see! I’ve never seen a cake tester before. That’s so cool!!! I like the knitting needle tester, too. 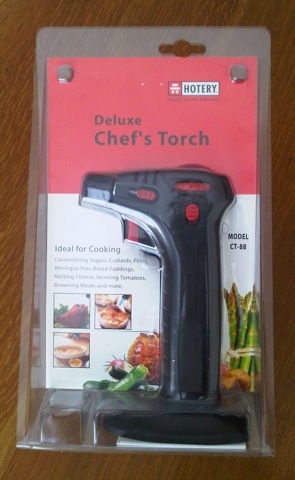 And I would so love a creme brulee blow torch. I just WANT one- although I can use the .